Within the next 3 years, an estimated 80% of all Internet traffic will be streaming video. According to Cisco’s Visual Networking Index, over 3 trillion minutes (aka 5 MILLION YEARS!) of video content will crisscross around the Internet each month in 2022. That’s 1.1 MILLION minutes of video streamed or downloaded per second. There’s no doubt this is the video streaming era, and virtual and augmented reality seem like the next logical evolution of how we consume media. We’re at the edge of a VR and AR takeover, as the hardware is getting better, the physics more lifelike, the content booming. Currently, VR is best known for gaming and entertainment. Fully immersive worlds are being adopted in all kinds of industries, and it will only continue as the technology progresses. It is already used in training environments; Walmart recently bought 17,000 Oculus Go headsets to send to every one of their stores to train employees on customer service scenarios. It’s quite easy to see how VR will jump from education to actual real life interaction. Microsoft just secured a U.S. Army contract to supply the branch 100,000 HoloLens headsets that will help with thermal sensing and night vision on the battlefield. VR even helps data centers; take a look at these videos that include cabling and commands in VR that are reflected in actual reality. #InteractionsVR Day 14: Cable hell! #InteractionsVR Day 19: Touchpanel and remote Telnet. 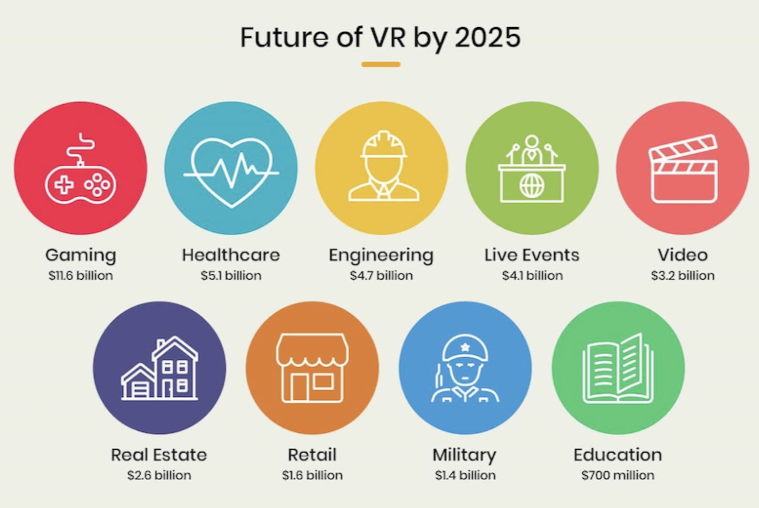 VR and AR traffic is estimated to increase 12 fold between now to 2022, at a Compound Annual Growth Rate (CAGR) of 65%. According to a recent Markets and Markets report, the current AR and VR market was valued at 9.3 billion in 2017, and is expected to reach 95 billion by 2023. Roughly 1.3% of all entertainment traffic will be Virtual Reality based by 2022, up from 0.2% in 2017. This may not seem like a lot; this is a conservative estimate that does not take into consideration potential adoption, which would significantly increase growth. For VR adoption to succeed, connectivity, bandwidth, and latency issues must be solved, which will require the help of a global data center infrastructure. Roughly five times more bandwidth than High Def videos: A VR stream needs to be duplicated twice, for both eyes, which creates a lot more bandwidth than even a 4K stream. You also need a speedy Internet connection, which is perhaps the biggest hinderance to widespread adoption. 20ms or less latency: Low latency connectivity is required or else you’ll get sick 5 minutes into Call of Duty. Motion to photon latency refers to the time you move your head to the time a new display is emitted for your new head/eye position. Human brains can usually detect latency above 20ms. The more of a delay between head movement and VR display change, the more unrealistic the world is, and the sicker you’ll get. 75% of viewers leave a video within 4 minutes if there’s connectivity issues, and you can expect that window to be even tighter with VR because of the extra dizziness factor. 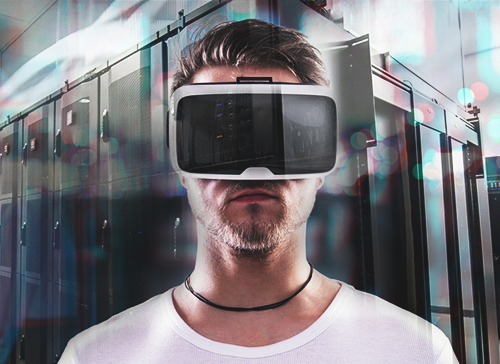 The best way for VR to take the next step is to harness the massive amounts of connectivity, processing, and storage of Tier 1 data centers. There’s some monster corporations with already established headsets: Facebook with the Oculus Rift, Sony’s Playstation VR, Samsung’s Gear VR, Google’s Daydream and Cardboard, HTC Vive, and so on. They recognize the need to branch out into the biggest cities to minimize latency and connectivity concerns to provide a seamless viewing experience. Any digital media enterprise looking to enter the VR market must physically have a global presence in order to succeed. Obviously building data centers in every major city isn’t feasible; finding colocation and utilizing carrier neutral data centers with the capacity and infrastructure needed to support these intensive operations is a much more cost-effective solution. HostDime has colocation options in 11 data centers around the globe to ensure your visitors are receiving the fastest response times possible by hosting it in your audience’s target location. We can help your enterprise scale your operations globally to bring streaming video to the end user via low latency and lighting fast data transmission. For more information and a customized set-up for your needs, contact us and let’s chat!